Run of the Mill is Evan Robarts first solo show. Taking place at The Hole in New York, the exhibition features Robart’s fascination for raw objects of everyday life that take an artistic turn through his savoir-faire. 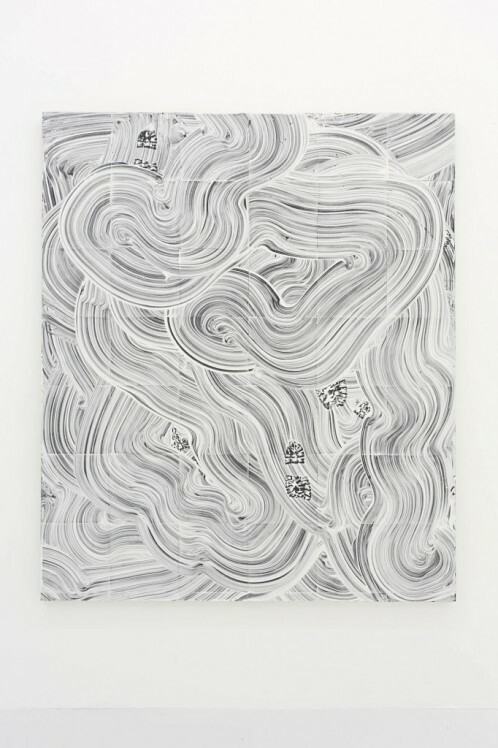 His Mop drawing, Line drawing and scaffolding pieces embody the artist’s art and specific materials he works with. The Mop drawings use mop as a brush, referring to Robarts’ job as a superintendent. The mop thus becomes an artistic tool through Robart’s use of it, “washing” the canvas with painting, letting footprints on his way. The quotidian and the ordinary is the artist’s’ main inspiration. 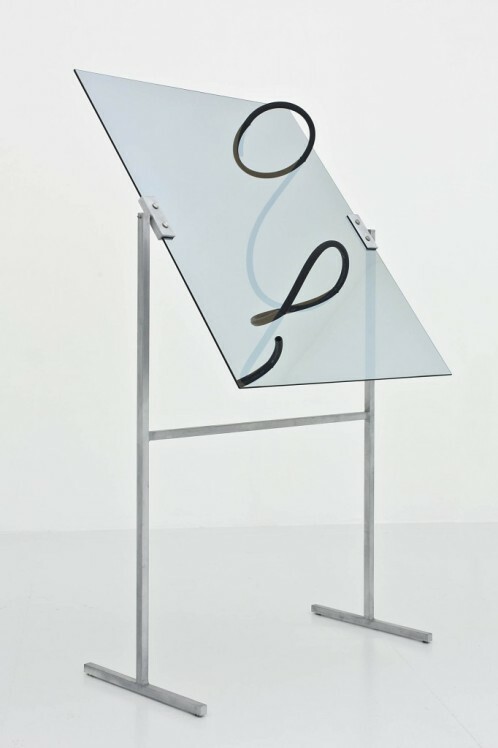 His artworks are shaped according to the contours and delimitation of scaffoldings and light colorful used cables run through plexiglas structures fluttering and referring without a doubt to the art movement Arte Povera. New York and its urban playgrounds and trappings deliver the natural and crude materials necessary for Robarts’s artistic production.